There is something so satisfying about making bread at home. Kneading the dough, the smell of it baking in the oven and it is a fabulous activity for kids. Add the oil, salt, and half the flour to the yeast mixture and give it a mix. Add the additional flour 1/2 a cup at a time until the mixture no longer sticks then add the pancetta. Knead until smooth either by hand or with a dough hook. Cover and allow to rise for about an hour or until doubled in size. Punch the dough down, then divide it into 12 pieces. 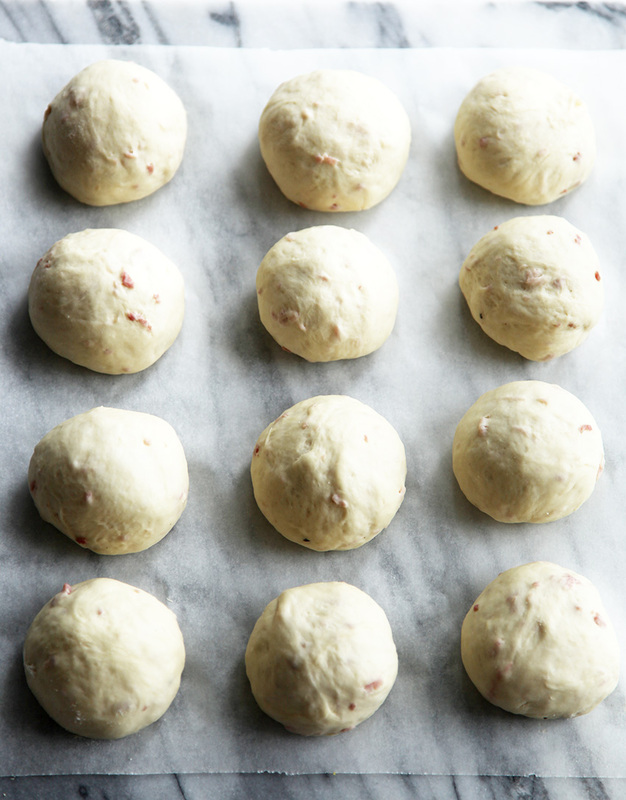 Roll those in to balls and place on a baking sheet to allow to rise a second time. (They will double in size so leave a little room around each ball). Cover with a light cloth and allow to rise for another 30 - 40 minutes. Pre-heat oven to 200 degrees C (400 degrees F). Sprinkle with parmesan and cook for about 15 - 20 minutes. Thanks very much Rachel. Its it the best! Give pancetta a try next time, you will love it. I love making bread as well! Pancetta would totally kick it up a notch…yum! OMG, yes! Im totally making these for Thanksgiving! I love me some freshly-baked homemade bread… especially now that the weather is starting to get colder, because the smell of bread as it bakes is the perfect antidote for feeling all cooped up indoors! I’m all over the idea of adding pancetta to the dough. I mean, isn’t everything better with pancetta? :) Totally adding these to my weekend baking list! Great photos and a delicious pairing. Pancetta and home-baked…can’t go wrong there! Sounds fantastic. These look AMAZING! I’m saving this right now! Thanks for sharing! 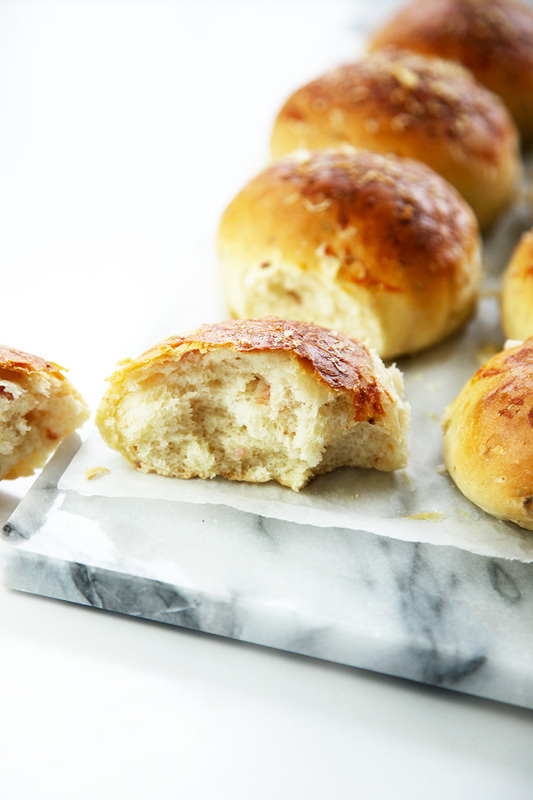 Pancetta in dinner rolls = pure awesomeness!